If you haven’t tried Which Wich it may be worth it to you, if you are vegetarian. You will find a menu (actually a little brown bag menu) with VEGETARIAN written at the top and choices of hummus and bell peppers, avocado and tomato, a creation called an “Elvis-Wich” consisting of peanut butter, banana and honey as well as a choice for a black bean patty sandwich. The black bean patty is where the confusion starts. I asked the franchisees when they opened if the black bean patty was vegan, if it contained any egg or dairy and was assured it did not contain any. I emailed corporate for choices suitable for a vegan from their menu and the black bena patty was mentioned to be completely vegan. After a couple months I find discussion leading to the contrary so I check again with Which-Wich corporate and get two replies, one saying the balck bean patty is vegan and one saying it is not. So, I am confused and have decided, of course, to avoid the patty altogether. Also, the whole wheat bread does contain honey. On a more positive note, the hummus and bell pepper sandwich is great with added avocado and sauerkraut! I stumbled upon a story on Channel 5’s website about veganism. It is not written by anyone locally and I’m not sure if Channel 5 ran a story recently on vegans but the article is there nonetheless. The last paragraph is a little off I believe. Has anyone made a visit to The Veggie Cafe? I am eager to try it but with moving and unpacking…and fixing…and unpacking…i haven’t been able to get there yet. I received an email from the owners with updates to the hours and posted those on the main page of Nashveggie.com, they are open on Saturday now! 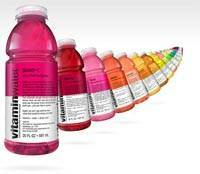 It seems the new craze in healthy drinks is Vitamin Water. It is found everywhere from the corner quick mart to Wild Oats. It is similar to Gatorade but much better and far less sugar. With ingredients such as taurine, vitamin B12 and calcium lactate you might have second thoughts as to whether or not it is vegan, but from every thing I have read it is vegan. However, the company that produce sit (GlacÃ©au) is owned by Coca-Cola. To some that may make a difference. I have been told by many Wild Oats employees that they are not allowed to carry a bottle/can of Coke into the store if the label is visible. Apparently, Wild Oats wants nothing to do with Coke in any fashion. I wonder if this means you will stop seeing Vitamin Water on their shelves. I have just cut down some boxwood shrubs and a small maple tree in my yard and would like to prevent them from coming back. I need to kill the root but I would like to keep it natural and organic. I don’t want to use any chemical herbicides and risk contaminating other parts of my lawn… and my family for that matter. Does anyone have any suggestions for getting rid of the roots and stumps so they won’t return? All help appreciated.